Every time we go out, whether camping, hiking, or just spending a day in nature, we are at risk of overpacking and the same goes for our dogs. 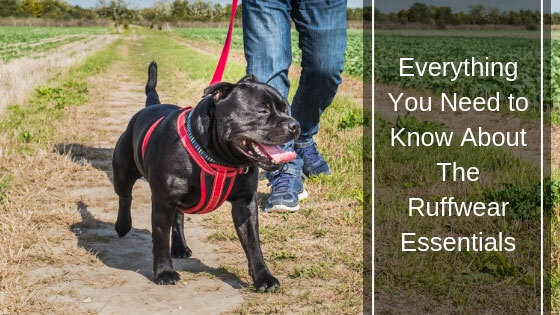 This is why Ruffwear has made a list of essentials that our dog is sure to need. These Ruffwear essentials are light, easy, and will help your dog keep track with you on your adventures. For larger dogs that are made for the outdoors, this might not be such an issue. Large, heavy dogs have evolved to run and survive in slippery terrain and colder weather. But even they should carry some of their own stuff, especially food and treats. Smaller, companionship dogs, have smaller paws and sometimes need to be propped up and that is why Ruffwear has made them vulcanized footwear (paw-wear?) that will allow them to trek easier through damp and wet terrain. There are only three things that are essential when going on an adventure with your dog. First, you need a harness and a leash. This is not just to guide your dog to go where you want but to help it cross some difficult places as well. A good harness is light, durable, and comfortable for your dog. Second, there are the boots. Doggy boots will help your canine pass through slippery and muddy terrain much better, as they won’t fall or slide down once their paws are full of mud. Your dog will need some time to get accustomed to them so it would be wise to test them at home. Finally, a pack is a good thing to have on your dog as it will allow them to carry all of the food, treats, or even toys that they might need. This will distribute the weight much better in your group and make the adventure a true joint effort. Apart from looking beautiful, this harness is light, durable, and comfortable. The last part is its main selling point as the design prevents your dog’s fur from sticking in, making it possible for the harness to be worn for the whole day. Additionally, the weight supported by the harness is nicely distributed, offering additional control and safety for your furry friend. Finally, the mesh is very sturdy and durable, and there is an aluminum V-ring on the back, as well as an additional leash attachment on the chest area. While a leash might seem like a simple item, there is a lot of difference between a good outdoor leash and something from a dollar store. The main feature of this leash is the ergonomic handle. The handle works both with a classic handshake grip and when placed around the wrist. This will keep your hand free while leading your dog. The build is sturdy and durable, with an aluminum carabiner-type Crux Clip™ attachment that fits perfectly with the Front Range Harness. Finally, the leash is very lightweight and will make an insignificant increase in your packing weight. Your canine companion is not exactly Cinderella, and they are not looking for the right shoe to fit their leg. But, in many cases, they will need it. This pair of doggy boots, although technically they would be sneakers, will give your dog the traction they need when exploring the outdoors with you. Additionally, the rubber will protect their paws from any sharp objects on the ground, or from hot rocks in the summer sun. This means that you will not need to carry your dog over these types of surfaces. Your dog will need some time to get used to the fact that something is touching their paws even when they are off the ground, and you might see some goose-stepping for a time. But, once they are accustomed, they will love this excellent paw-wear. When you are just going out for a quick walk, it is enough to carry a doggy bag, but when hiking for a few days, you will need a doggy backpack. This backpack attaches easily to your dog and has adjustable straps that will fit every dog. 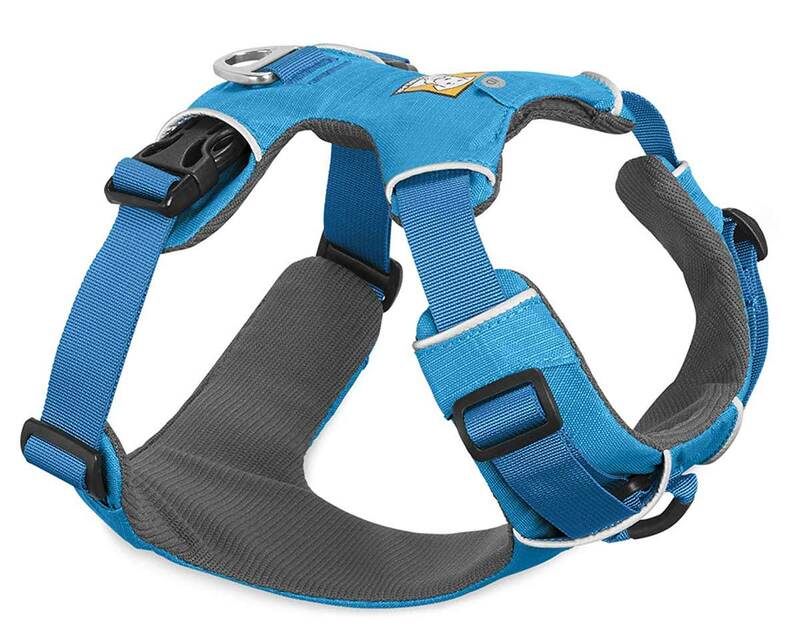 It is comfortable, lightweight, and has a good weight distribution that is right above the dog’s center of mass and not pressuring their back. This backpack will allow your dog to carry their own treats, food, water, and other equipment they will need when hiking. Also, you can attach The Beacon™ on it, making your dog visible at night. Finally, if it is a larger dog, they might be able to carry some of your stuff as well, just be sure not to over-encumber them. Ruffwear is one of the first companies to realize that, even though we humans mostly use dogs for companionship nowadays, we are not always at home and like going to the outdoors. While there was equipment for working dogs before, they have developed a new branch that can be described only as canine hobby attire. 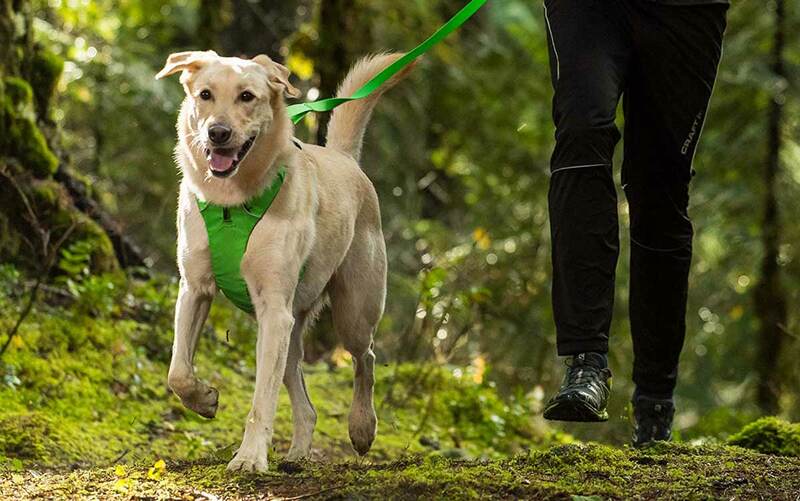 Currently, there is a wide selection of harnesses, paw-wear, and other accessories that your furry friend will need when going on a hike or camping trip. Ruffwear came out with their first line of products in 1994 and hasn’t stopped improving their offer ever since. 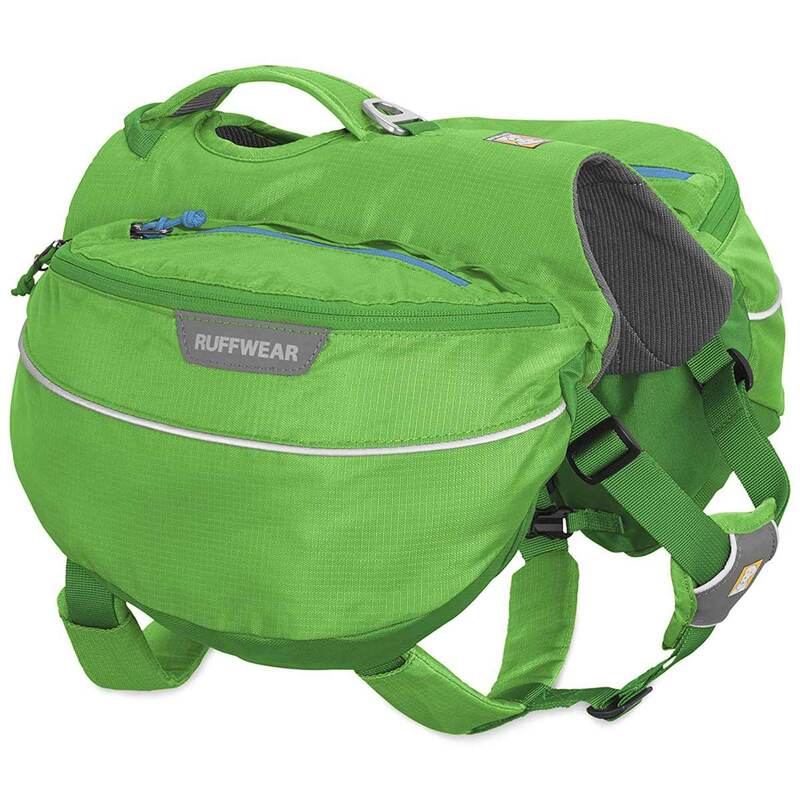 The mindset behind the accessories is someone biking and hiking for prolonged periods. That is the reason why simplicity and weight reduction are such important features in all of the harnesses, leashes, and all other products. Finally, the name Ruffwear doesn’t mean that wearing this gear should be rough. Everything is really comfortable and fits snugly on your pet, regardless of the amount of fur on it. There are few experiences as good as surviving in the great outdoors with your loved ones. This includes your canine companion. Experiences the land and the climate, returning to a simpler time where everything you have was what you could carry with you. This primal experience would be incomplete without a dog, and there is no reason why they wouldn’t be able to reap all of the benefits of modern technology as their humans. 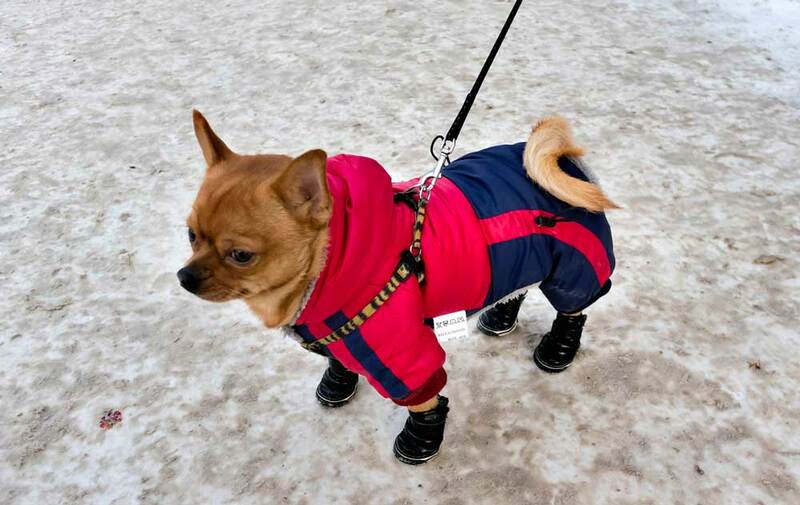 One of the most worthwhile investments for your canine is dog boots. 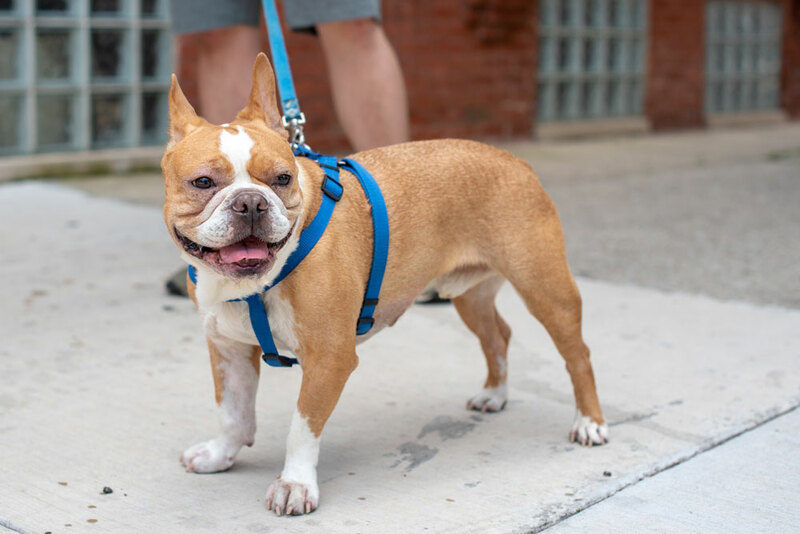 In most cases, dogs have thickly padded paws, but boots add a protective measure significantly reduce any chance of even the roughest of terrain causing problems for your pet’s mobility. 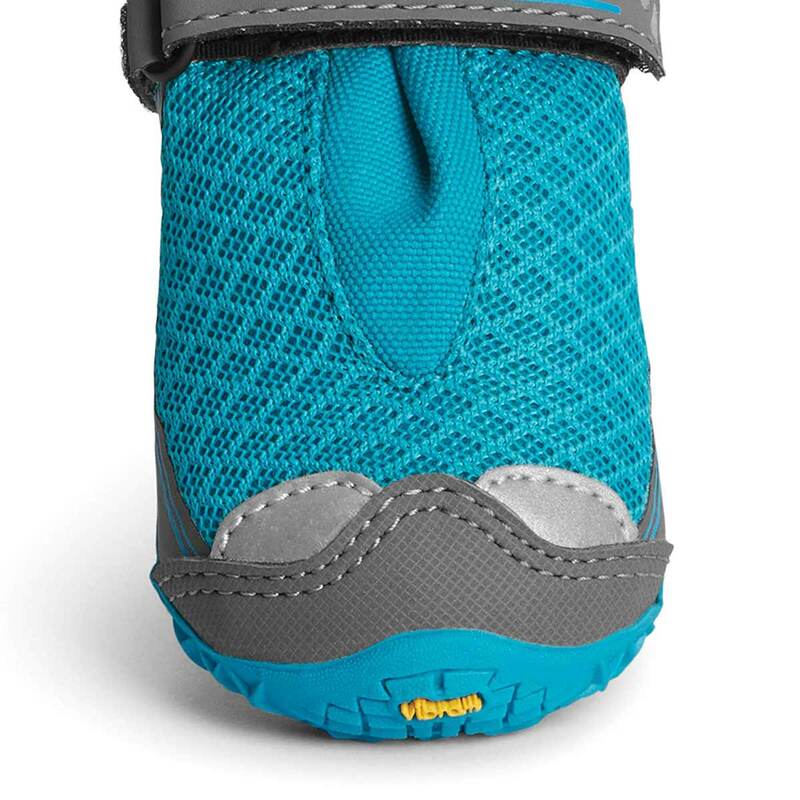 Acting as a barrier between your dog's paws, these boots remove the possibility of your dog experiencing physical discomfort and allow them to walk in hot, slippery, or rough terrain. When you think about the many miles covered by both pet and owner while traveling, it would be cruel to leave our pets’ paws defenseless. This is particularly true when it comes to winter—these boots are a preventative wall that acts as an insulating mechanism that also stops salt and small stones from lodging painfully in the animal’s paws. If left unchecked, snow can build up in paw hair, clump, and freeze. This not only intensely irritating for the animals but leaves them susceptible to unhygienic bacterial infections. Also, it makes it possible for the dog to slip and fall, causing further discomfort. Very few humans alive today have experienced walking with something other than vulcanized rubber under their feet. But, if you ever try to use your Italian full-leather shoes to run on snow, you will know how dangerous this might be. The same issue is with your dog. The rubberized grip of dog boots can lead to improved stability and traction; therefore, reducing hazards. For dogs with a paw injury, these boots inhibit dirt and germs from infecting open wounds as well as stopping them from biting the cuts. Towel-drying their feet at interval-based periods keeps from paws becoming cracked and agitated. Products such as Bag Balm or Vaseline are great to apply after drying and trimming the paw hair because they keep the moisture sealed and fractures at bay. Adding a humidifier to the mix will further improve the conditions of your dog’s paw after outdoor activities. Shopping for your pet’s attire isn't too different from buying clothes for yourself. You start with the pet's accurate measurements by using a flexible measuring tape. You will need the entire circumference so make sure to measure around the body, the expanse of the ribcage, and behind the forelimbs. As mentioned earlier, climate plays a decisive role in the kind of vest you intend to purchase. In hot climates, cotton-based material would be preferable. And, in colder areas, a thicker variety and more padding are better. 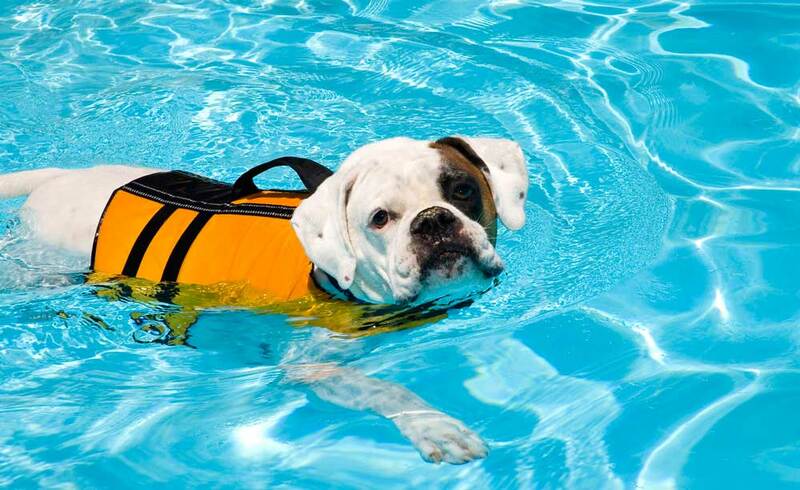 Let's not forget the days at the beach, swimming pool, or boat, were a canine life jacket is the best option. Sizing helps to ascertain what vest will be the most functional with regards to dog breeds. For dogs like Labradors with a 26–34-inch chest girth, go for a lightweight regular vest cape with a mesh-trim and superior reflective fabric. While working animals were a common site for the majority of human and canine co-existence, today most dogs are there for companionship only. But, being a companion is not something to be discarded either. An increasing number of canines are becoming emotional support animals (ESA). These dogs will need their ID attached to their vest as to show that they are certified to be there and spread happiness to people other than their owner. 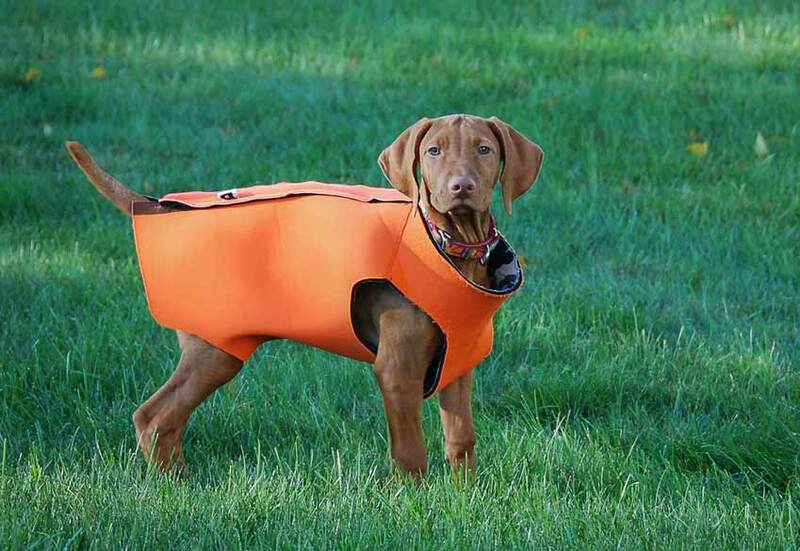 Finally, while your dog might not work on the boat or near water, but are there just to accompany you, it would be beneficial for them to have life-vests. These vests might save their life and will give you peace of mind while you do other things. Old harnesses were mainly made for larger dogs that needed to pull weight or sleds. Now, most harnesses are used by small breeds because they reduce any risk of choking. Unlike collars, harnesses have four points where they can pull on the dog, informing its direction much better. Additionally, they distribute the weight of the pulling to a large surface area, preventing any injury. Finally, best dog harnesses that you can find are made from materials that will not stick to your dog’s fur, making it possible for the canine to wear them through the day. The use of a leash is somewhat self-explanatory, but it is important to know what to look for depending on your dog. Different materials have different sturdiness, and if you have a larger dog that can really pull on the leash, you will need something that can endure the tugging. It doesn’t need to be thick if the material is something like nylon or carbon fiber that can withstand several hundred pounds of weight. Finally, the leash needs to be comfortable in your hand and on your wrist at times. Some additional padding is beneficial. In outdoor activities, the leash needs to be tougher and thicker than it would usually be as there are situations where you will need to pull up the whole dog. In that case, just make sure that the tested endurance weight of the leash and the carabiner on the end are, at least, double the weight of your dog. There are few things better than spending time in the great outdoors. And now, as technology has progressed, we don’t need to keep our companionship dog at home while we hike, bike, and trek through the forests and mountains. With a good harness, some comfortable paw-ware, and their own dedicated backpack, our furry friends can become an equal partner on our adventure. Later, when you know exactly where you are going and what your dog needs, you can buy additional gear that will help you and your canine. But, for now, Ruffwear essentials are more than enough for any pet to begin their exploration of the biggest back yard on the planet, the wild.